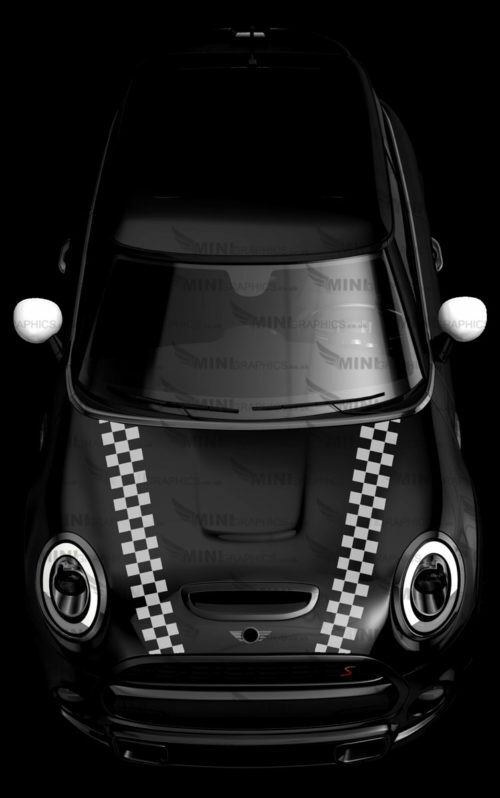 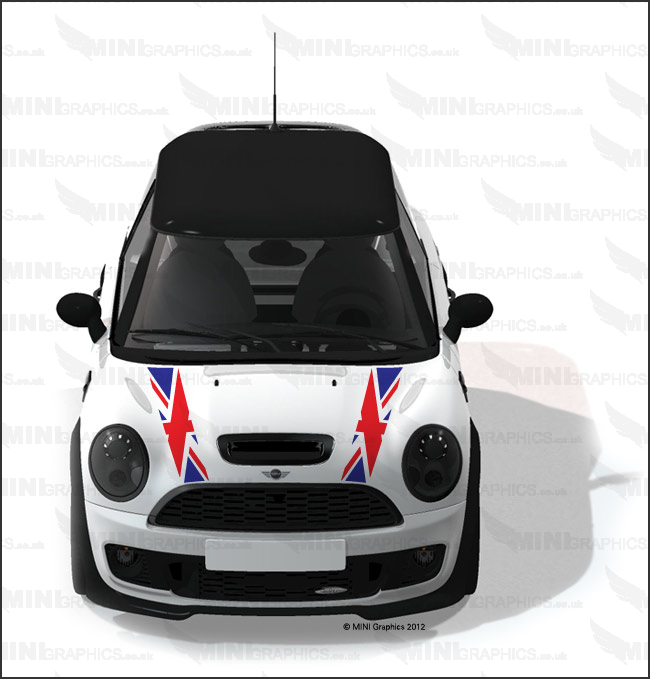 Union Jack skew bonnet Graphics pattern. The design shows the cars colour as the background. 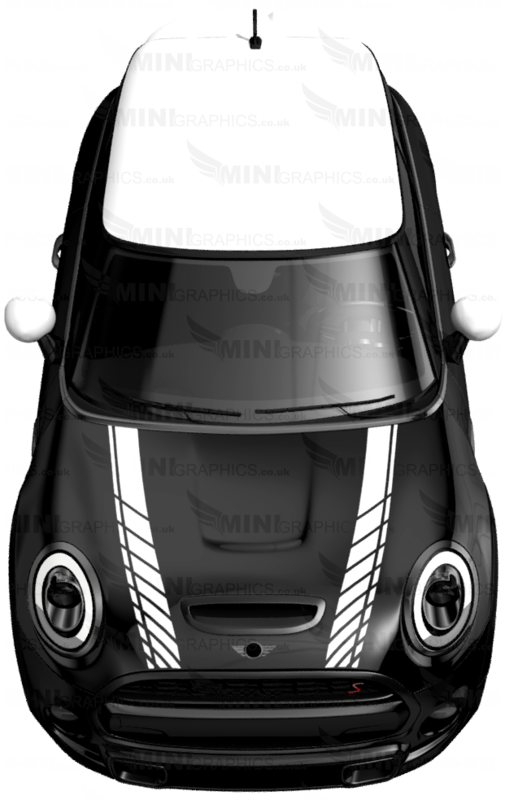 The image shows red and blue vinyl on a white MINI.